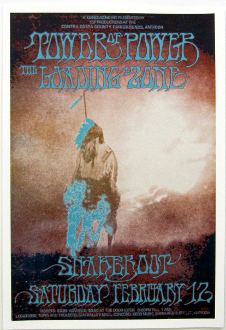 Tower Of Power and The Loading Zone at the Contra Costa County Fairground - Antioch - 2/12/72. Poster design by Thomas Morris. Mint 13x19 Archival Art Print. Signed, Numbered and Embossed. Ships ina tube.